Outsourcing - the concept is far from new to any business today. Rise of start-ups, rapid change in technology and movement towards automation and personalisation often leave businesses overwhelmed with all the catching up to do. Why settle for mediocre marketing when you can have a team of expert marketers work for your business? Marketing function is required right from when you establish your business through to ongoing support in order to retain clients. Depending on the extent of outsourcing you want, you could have as much or as little support as you like. When you first establish your business, a designer can design your logo and create beautifully branded marketing materials. A copywriter can write targeted materials that reflect what your business does. Similarly, a developer can help you create functioning and optimised website for best customer experience. As you go on, an expert copywriter can write content, blogs, send out newsletters and EDMs to manage ongoing relationship with customers. Leave the experts to do the hard work so you can focus on what you love and do best! With limited resource that a small business have, you can’t afford to spend money without any measurable result. By outsourcing your marketing function, you are guaranteed on a return on investment, ensuring you get the result for what you paid for without all the hassle. In contrast to doing an internal hire for a marketing expert, an external company who does not bring return will risk losing your business due to poor performance. They will always work hard to prove their worth by maximising the return on your investment. Marketing agencies work with various businesses and industries on their marketing plans. They can bring best practices across the industry and apply it to your business. Having an outside-looking-in perspective means that marketing agencies are able to view your business from a different angle and bring in new ideas. Though the cost can look significant upfront, you’ll save on your marketing cost down the track. The benefits and returns will outweigh the costs in the long term. Outsourcing the marketing function will save you on overhead, recruiting time, training time, commitment and expenses associated with hiring a full-time staff. You don’t have to worry about recruiting, managing super for your staff, staff going on leave, having the most up-to-date technology and upgrading systems to support your business. It’s like having a team of expert marketers looking after all aspects of your marketing. Saves you the headache and result is guaranteed! Agencies have to prove return on investment to keep getting business from you. To prove their value, they will provide you with reporting, analytics and interpretation for you in an easily digestible manner. You may not have all the time and knowledge in hand to monitor progress, understand the terminologies and plan your next strategy. But the agency will do everything to improve processes and continue to get business from you. Your success is their success – they’ll do everything to meet your marketing objectives! Reading all the benefits of outsourcing, you may wonder if outsourcing is the way for you. Businesses today must keep up with fast-moving world of technology, social media and innovation. This makes marketing a key for your business’ success. Depending on your marketing objectives and your company’s capabilities, you can decide whether you would like to outsource some or all of the marketing functions. Marketing agencies are experts in what they do. Trusting them in their expertise will leave you to do what you do best to serve the core function of your business – be it making flower arrangements, selling furniture or plumbing. With the numerous things you have to do in running a business, outsourcing some functions will allow you to focus on the core of your business. There is little or no value in trying to develop a half-good marketing strategy or spend hours building a mediocre website if you have no expertise. If it takes you double the effort, time and stress of performing any marketing work with no guaranteed result, you’re better off outsourcing the work! 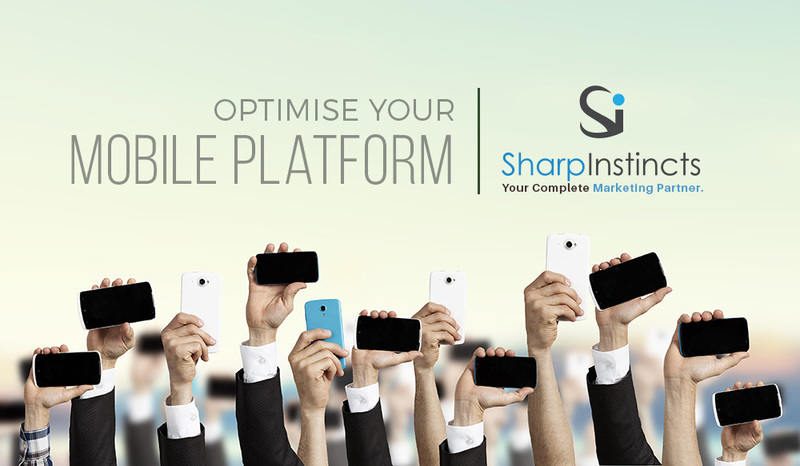 Sharp Instincts is your one-stop-shop marketing partner. We can be as much and as little you want us to be. Our team of marketing experts will help you with the technical and creative execution of your company’s marketing strategy. We are a team of marketers who will help you grow new business, develop your marketing strategy, or write relevant content that will optimise your website. We will also provide you with reports, clear metrics and analytics to demonstrate return on investment.